Decode button is now working. 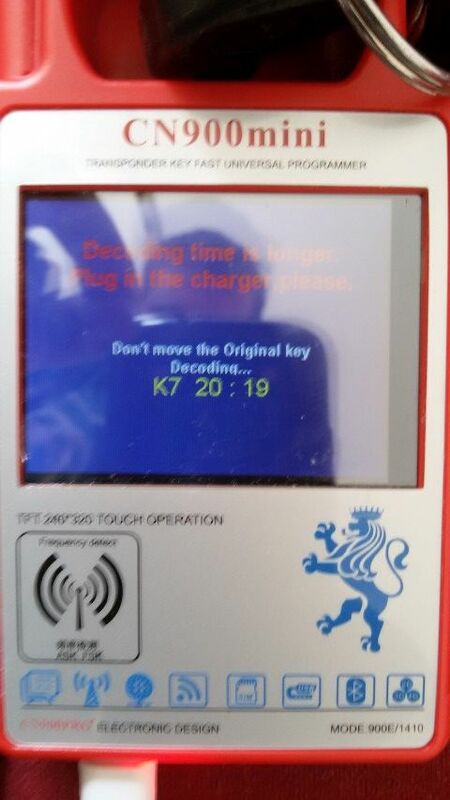 After pressing the decode button, you have to sniff data from ignition lock of the car. After that, decoding starts, and lasts for AT LEAST 20 minutes. You can see at the picture, that decoding is already 20 minutes in progress. After that I left it for another 40 minutes. When I came back, the decoding was finished. I don’t know what the meaning of those “x”-es is. 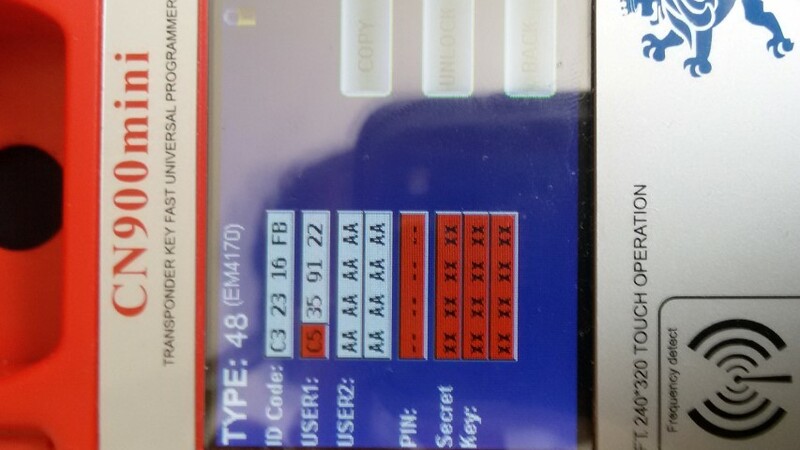 After the decoding, the function “Unlock” is working. 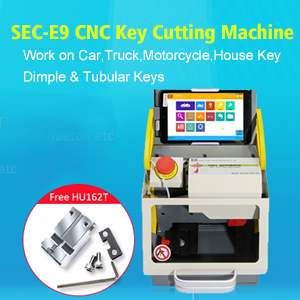 Also “copy” button is shown for coping to CN6 chip. I had no CN6 chip to test. The problem here is that decoding time is very long. Almost 1 hour, I think device isn’t cloning ONLY the chip ID, So it has to be password or security bytes. After this 1.34.2.19 update, ID48 cloning is working, I can confirm. FYI, I always order cn6 transponder for id 48 for mini cn 900 from here. It’s the guy who also sells CN900 mini devices. Tested and it’s working (for version above 1.20). CN900 mini is just fine. 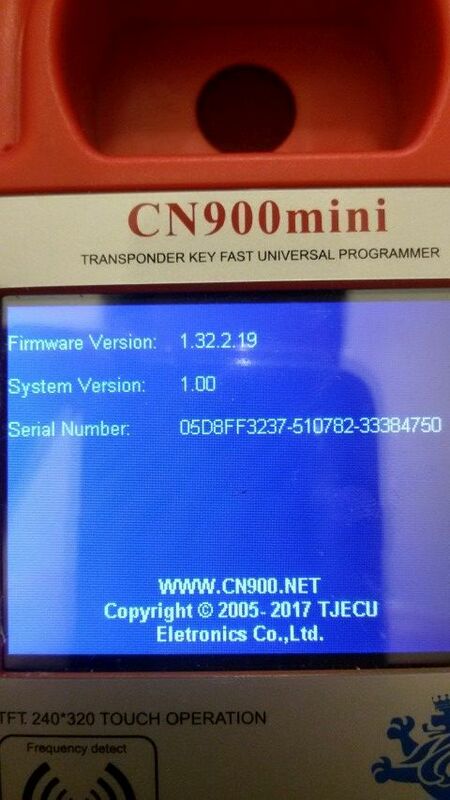 This device is not as fancy or as powerful as Handy Baby, but hey CN900 mini is much cheaper and the transponder chip are also much cheaper than Handy Baby ! Most importantly, it works for cloning various transponders which are popular in the market name it 4D and 46 !! Credits to @Duracell2, who are a poster on DK forum.